Tony Large, In Deep and Troubled Waters. The story of a South African at war who survived the sinkings of both HMS Cornwall and the troopship Laconia in 1942 (2001), £19.95. Buy this book The Laconia was the second Cunard liner to bear that name, the first having been sunk during World War One. A sister ship of Scythia and Samaria, this second Laconia, was built by Swan, Hunter & Wigham Richardson. She was launched in April 1921. 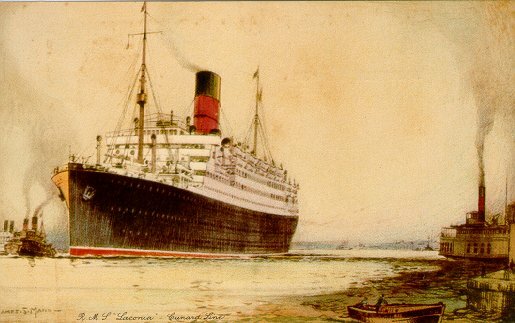 Her maiden voyage on 25 May 1922 was from Southampton to New York, but she was then placed on the Liverpool-Boston-New York route with Samaria. 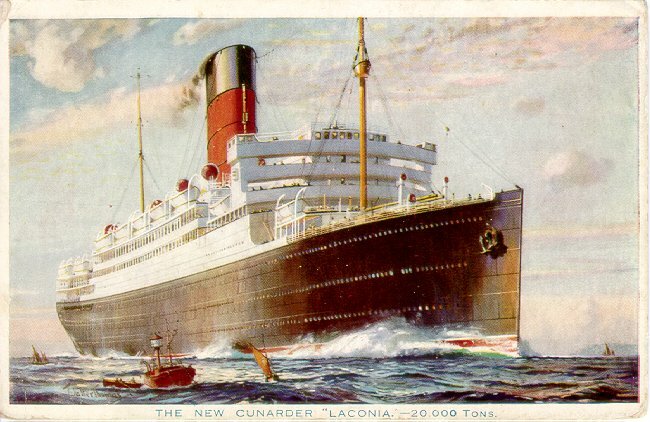 From June to November 1923, Laconia served the Hamburg-New York route and once the 1930's arrived she was frequently used for cruising, as were many other liners. 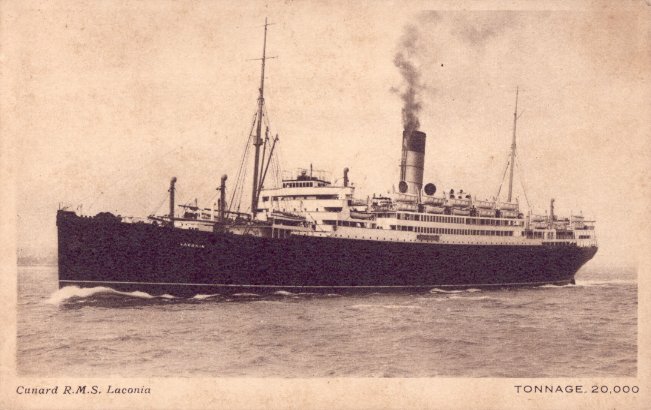 Laconia was converted into an armed merchant cruiser in 1939, and then into a troopship in 1941. On September 12, 1942, she was torpedoed and sunk by U156, about 360 miles (575 km) north of Ascension. In all, out of 3,200 or more who were on board, less than 1000 survived. As a result of the Laconia Incident, Doenitz ordered that no further rescues should be attempted by German U-boats. At Nuremberg, he was acquitted on a charge that the "Laconia order" was a war crime.